We offer two different training programs to all members. One program is focused on fat loss, while the other is focused on strength, and size. 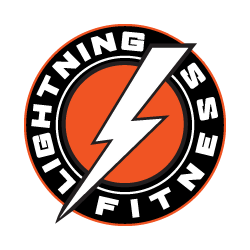 Enjoy a Customized Fitness Program designed specifically to your goals for fat loss and/or sports/strength training with kettlebells, spin classes, strength training, powerlifting, and strong(wo)man training. Members can come and do their own training under this membership. Maximize results by scheduling a nutrition consultation. By doing so, you will receive a nutrition packet with guidelines, along with a customized meal plan for you. Training packages are an initial 3 month, or one year commitment. Trial month is ﻿$79 ﻿for unlimited training and use of the facility. ​All training is in a motivating group atmosphere. All memberships are paid by automatic credit card payments only, we do NOT accept cash or check for monthly memberships.